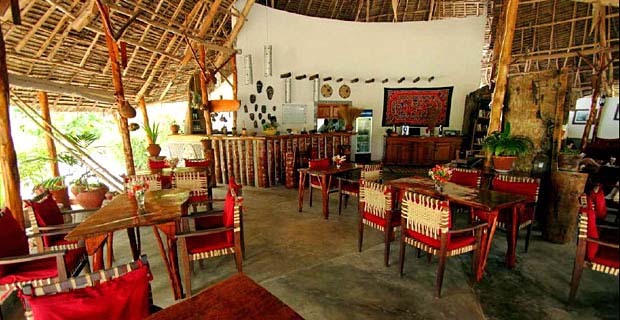 A very friendly and relaxed atmosphere awaits you in this basic, but well managed and colourful hotel. 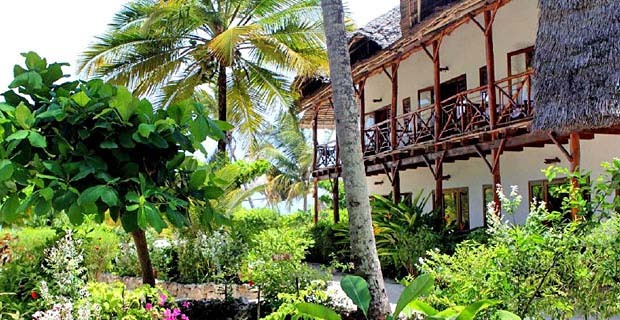 Under the leadership of two brothers, who studied in Germany, this quaint hotel possesses a unique and personal flare and is one of the best guest houses on the island. Here importance is placed on sustainable integration with the surrounding nature and maintaining a good relationship with the local population. The Casa del Mar is situated on Jambiani Beach, ca. 50 km away from Stone Town and the airport. 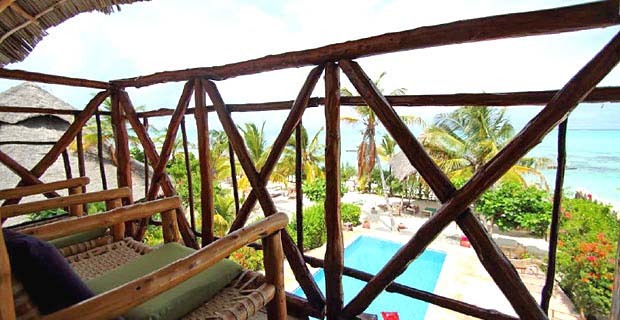 The hotel is located on a special part of the beach, where during low tide when swimming is made difficult, it creates a natural lagoon and thus guarantees a refreshing change in the Indian Ocean. Under the tropical sunshine, shaded by palm trees, you will be able to fully relax and unwind. 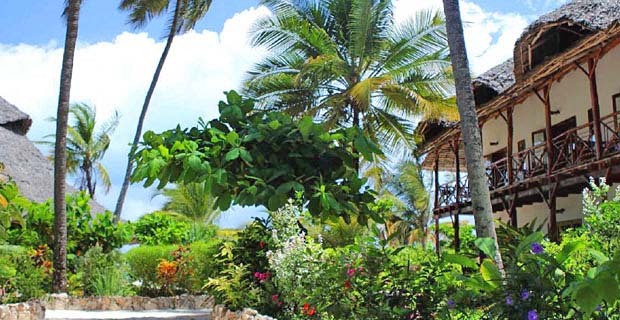 In the lush tropical garden you will find an abundance of exotic plants and fruits. Some of these fruity delicacies can be tried at the restaurant or bar-terrace. 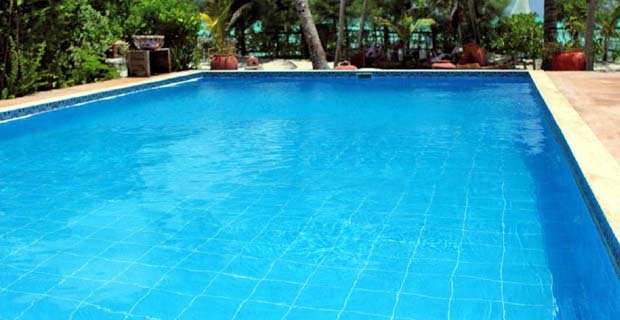 Since June 2009 the hotel also offers a pool. The Casa del Mar kitchen is known for its typical Zanzibar dishes, but Mediterranean and international dishes are also offered. Freshly caught fish is naturally also on the menu on a daily basis. The 12 rooms, which are found in the two houses on the property, are furnished with organic materials found in the surrounding area. The interior decorations were personally designed by both hotel managers; the self-designed wooden furniture standing in stark contrast to the colourful bedding and pillows. 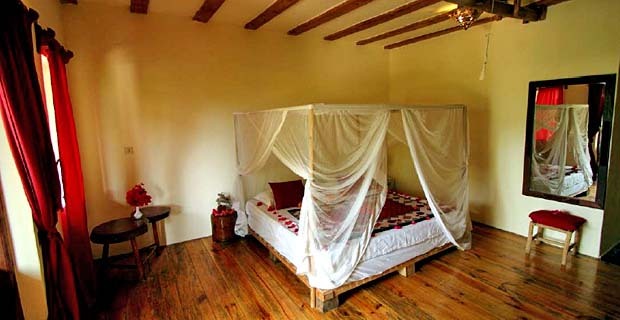 All the rooms are equipped with a bath, ceiling fans and mosquito nets. The rooms on the first floor are roomier with two levels and a beautiful loft bedroom. A selection of guided tours (Jozani Forest, Stone Town, Spice tour) with local guides are available to guest. Furthermore sailing tours on a dhow can be booked at an additional cost. A few diving spots are located close by.